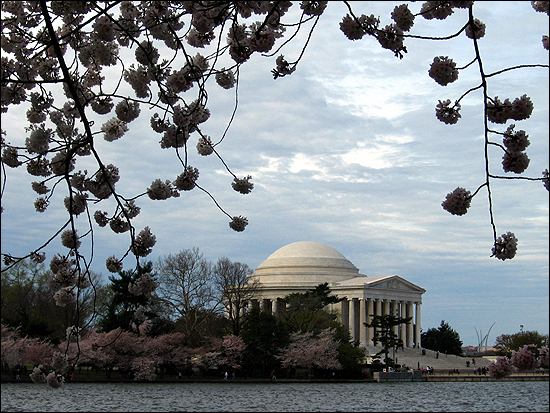 After a week of interrogation at work this week ("Have you seen the cherry blossoms?" 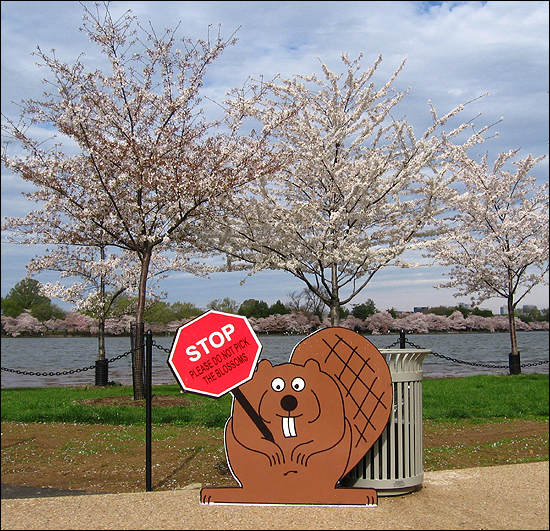 "Been to the blossoms yet? "), I decided to investigate. 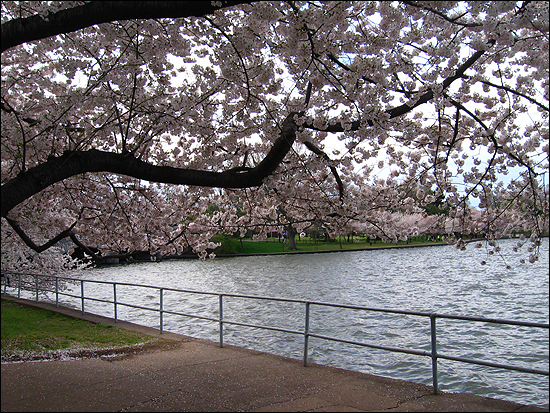 I got up early (OK, well, not too early) Saturday morning and got down to the Tidal Basin by 9 a.m. This proved key to avoiding the crowds. But as the morning wore on, more and more people arrived, nearly making it difficult to get shots of trees without the unwitting victims getting in the way. It's no secret. 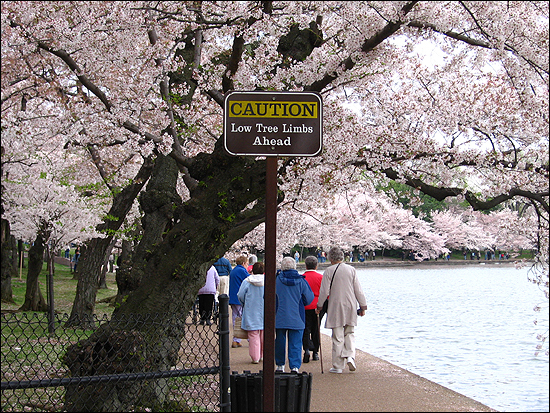 The Cherry Blossom Festival, started in 1935, attracts well over a million people. Their modus operandi is to arrive by tour bus and their weapon of choice is an SLR digital camera, often sporting a long telephoto lens for shooting those long distance shots. We all witnessed the beauty of the trees, whose petals valiantly escaped when the winds blew and looked like dime-sized snowflakes, dancing in their new-found freedom. 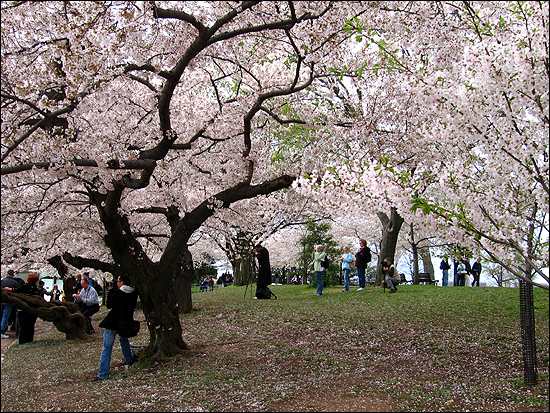 The Festival, of course, celebrates the gift of 3,020 cherry trees given to the US by Japan in 1912. 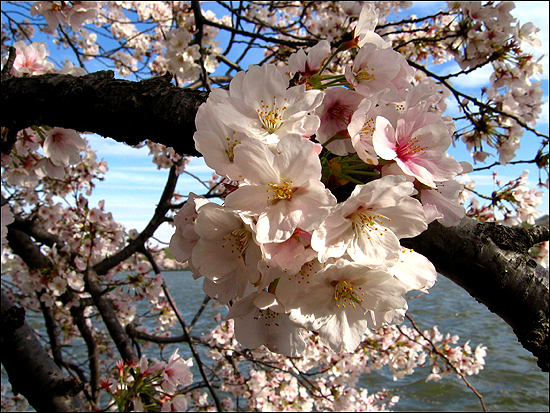 They are a symbol of the two country's friendship and, for many, the arrival of spring. 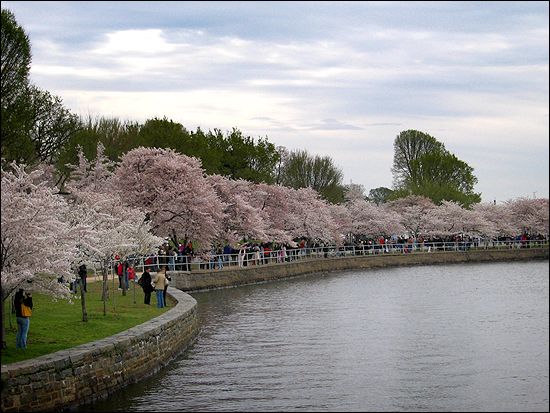 The trees surround the Tidal Basin, where the Jefferson Memorial is located, and they flower around the East Potomac Park, as well. 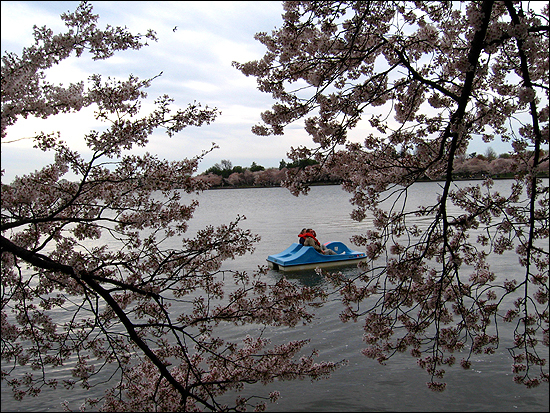 Once at the Tidal Basin area, there are several means of getting around: by foot, by bike or by paddle boat. When I went, Saturday morning, it threatened rain, but held off. I spent two hours down by the basin wandering around on foot, pointing my camera at all the immobile targets and trying to avoid getting in other people's shots. 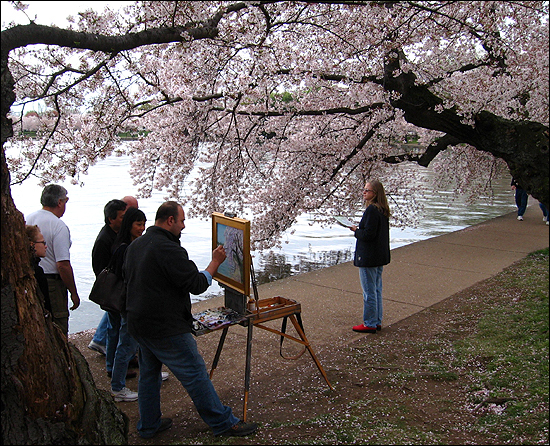 Aside from all the shooting, the Cherry Blossom Festival offers an array of activities: cultural events, sporting events, arts and crafts demonstrations, a parade and fireworks all take place during the festival's two-week span. This year the festival started on March 29 and will end on April 13. So, on Monday morning when I got back to work, I was prepared for my co-workers interrogation: All right, where were you on the morning of Saturday, April 5? 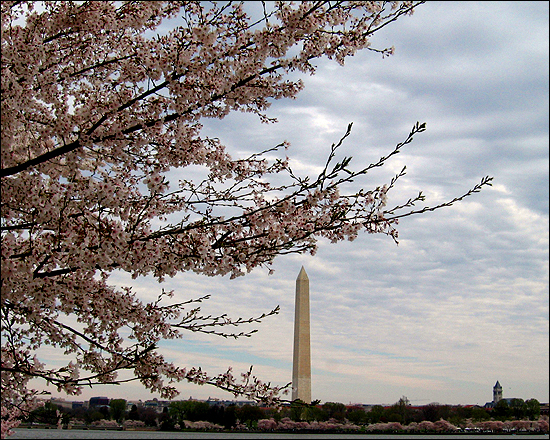 And, I proudly confessed: I went to shoot the cherry blossoms. Low branches can present a problem... and another photo op!